and idyllic fjordscapes in Sunnmøre. The Sunnmøre Alps offer a playground for easy-to-access outdoors adventures the whole year, but it’s in the winter that this land really comes to life. With jagged peaks extending as high as 1,700 metres from the Atlantic Sea, the potential for summit-to-sea skiing is huge, with the opportunity to ski down to the Hjørundfjord in one smooth descent. Enjoy boundless stretches of powder snow and diverse terrain suitable for both beginners and more experienced ski tourers. The mountains are located just an hour’s drive from the beautiful Art Nouveau town of Ålesund, allowing visitors to enjoy the comfort of a vibrant town base. Ålesund Airport is well served with plenty of both international and domestic arrivals. For the best descents and snow conditions, join one of the sail-to-ski expeditions that depart regularly from the dock in the city centre. On-board, passengers can enjoy freshly prepared local cuisine whilst admiring the grand views – the perfect preparation for a steep ascent up one of Sunnmøre’s iconic mountains. All expeditions are adjusted depending on the weather and local conditions. Alternatively, there is a great selection of accommodation options on land, whether you prefer traditional and charming hotels or would like something more modern. Two examples are the ornate 19th century Union Øye Hotel, which overlooks a rural valley, and the Juvet Landscape Hotel, which blends in with the surrounding nature. Finally, if you are unlucky with the weather during your trip, the Stranda ski resort is a great alternative to ski touring. With 17 downhill runs, 15 kilometres of groomed tracks, a children’s area, a terrain park and outstanding off-piste opportunities, Stranda has challenges for skiers of every level. Always find out about the avalanche risk before you set out. You can check the avalanche forecast for Sunnmøre at varsom.no. Read more about ski touring in the Sunnmøre and Hjørundfjord area. Kolåstinden (1,432 metres) is the most frequented summit of the Sunnmøre Alps. Return either by the same route you ascended, or try the alternative via the glacier to Kvanndalen for an exceptional descent. Ålesund and Sunnmøre offers a good selection of restaurants, pubs and cafés, whether you are looking for a gourmet meal, a good patisserie or a delicious coffee. See all your options for eating and drinking in the Sunnmøre area. The main city of the Sunnmøre area is Ålesund, known as &apos;the Art Nouveau Town&apos;. It is a cultural hotspot with plenty of museums, art galleries and other attractions to discover. See all cultural attractions in Sunnmøre. You will not be bored during a visit to the Sunnmøre area, where the raw nature offers experiences all year round. Be sure to check out the UNESCO protected Geirangerfjord and the Hjørundfjord. See a complete list of things to do in Sunnmøre. Ski touring at the Hjørundfjord. Ski touring at Fingeren in the Sunnmøre Alps. Ski touring at Kolåsbreen glacier in the Sunnmøre Alps. "Far up in the north-west of Norway lies Sunnmøre, with countless mountains and breathtaking nature. I feel very privileged to live in this part of the world, and very fortunate and humble to have such a vast variety of hikes to choose from, and only a short distance from my hometown, the beautiful city of Ålesund", he explains. 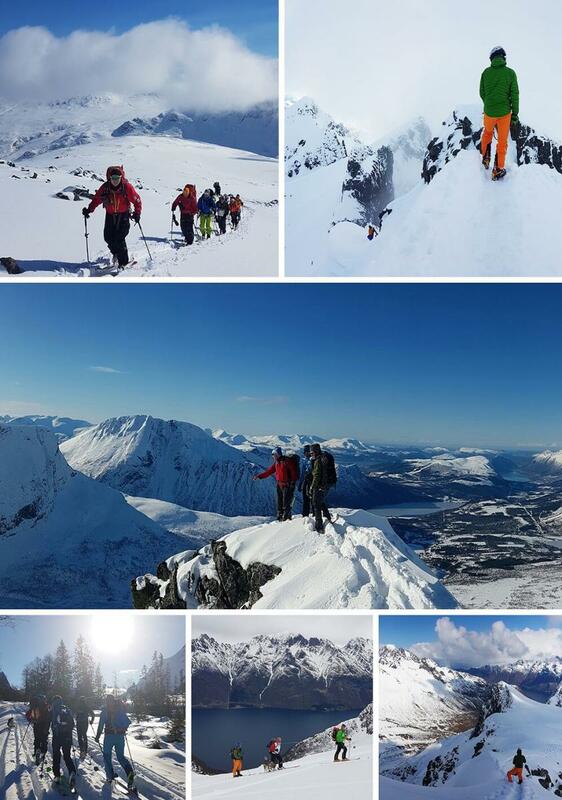 Each season, Per is getting closer to his goal, which is to summit all the peaks in Sunnmøre. "Shorter hikes are doable with snowshoes and a snowboard on your back, but for frequent and longer hikes there is only one real option, which is splitboarding", he says. 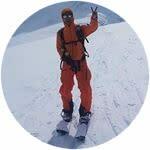 "My passion is splitboarding, which is the only sensible choice if you love combining hiking with snowboarding." Explore the unmistakable landscape of Sunnmøre as captured by local ski touring enthusiast Per. Get in-depth travel information at Ålesund&apos;s official website. Sail-to-ski expeditions depart frequently from the dock in central Ålesund. Express boats, ferries and the Hurtigruten coastal steamer connect the coast with passengers and goods for the local communities in the region. From the city of Ålesund, expect a 2-hour drive to the heart of the skiing area and the Sunnmøre Alps. You can rent a car in the city centre as well as at Ålesund Airport. Driving from Oslo to Ålesund takes around 8 hours (520 km). From Bergen, it takes 6 hours (370 km). Ålesund Airport has frequent international connections to Amsterdam and daily domestic connections to the bigger airports in Bergen, Oslo and Trondheim, where there are lots of international routes. The airport is located 20 minutes by car from the centre of Ålesund.